Here is an antique French lace cotton trim with tiny picots at the lace bottom edge & a design through the center of the lace trim. Antique French Lace Trim Measurements: 36" x 5/8" Material: cotton Color: rose pink (see photo which shows the antique lace trim on a white piece of paper. 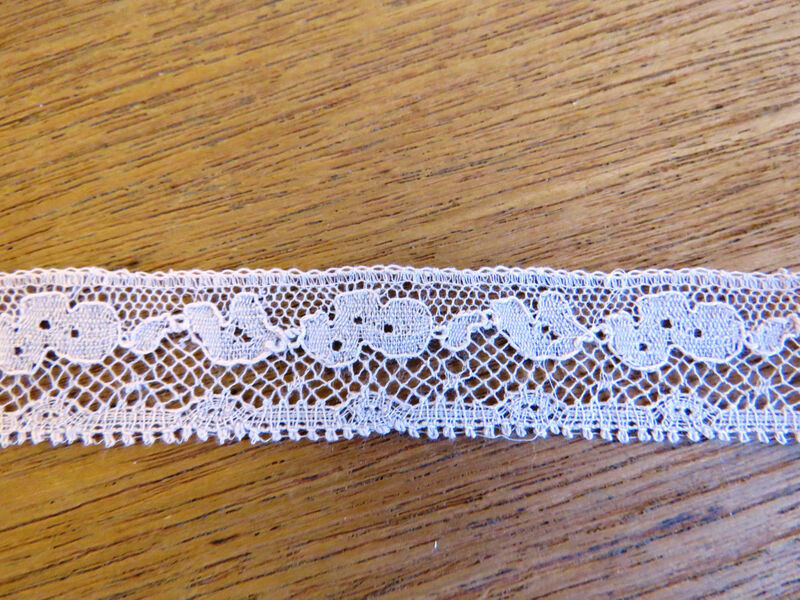 Antique French Lace Trim Condition: Very good unused condition. There may be a few stray threads at the bottom edge within the available lace trim for sale.The antique lace trim is on the original card & labeled Made in France. The photo of the cardboard is just to show original information. There is no cardboard included with any of the lace purchases on this listing.